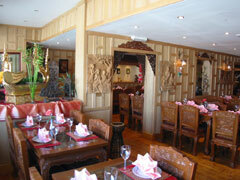 I recently visited the Royal Elephant in Beaconsfield and was very impressed. The food was sensational and the service was very good. I found the lunch time set menu very good value for money and will certainly return. If you are looking for excellent Thai food and service set in authentic Thai surroundings you would be hard pushed to find anywhere that comes close.